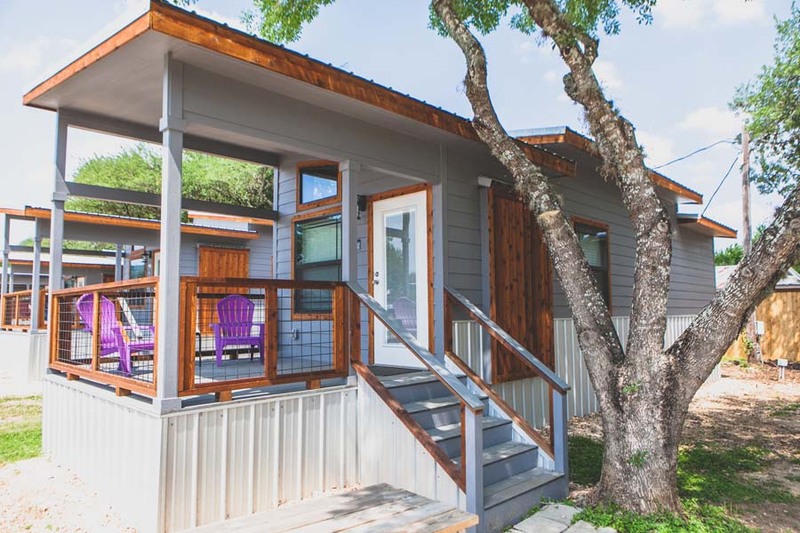 The tiny house condos are 399 sq. 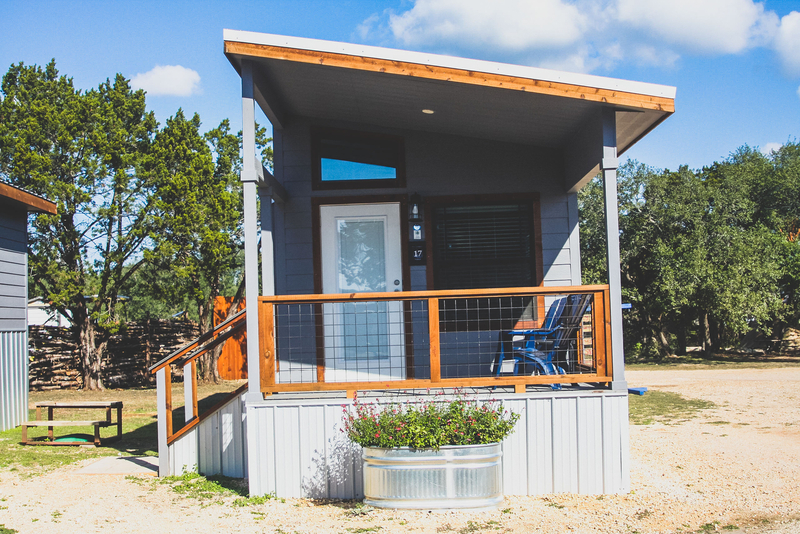 ft. on the ground floor and some include a sleeping loft. 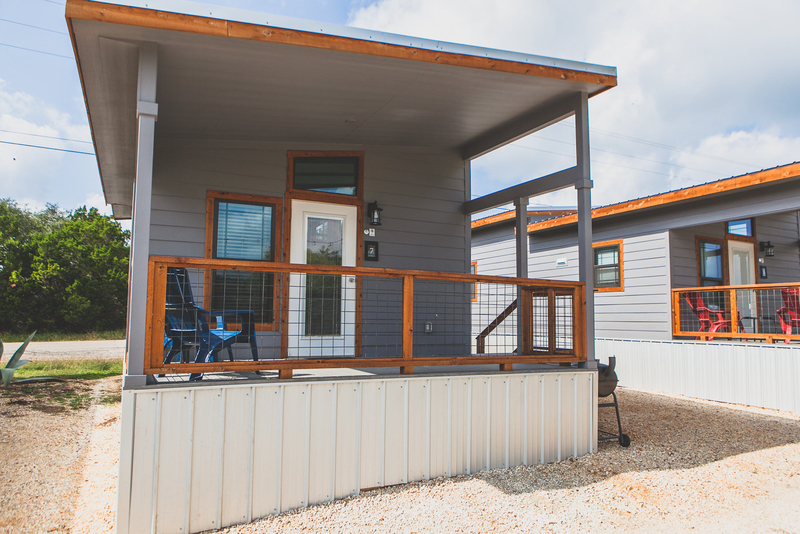 The lofts provide additional square footage and have either a queen bed or two twin beds. 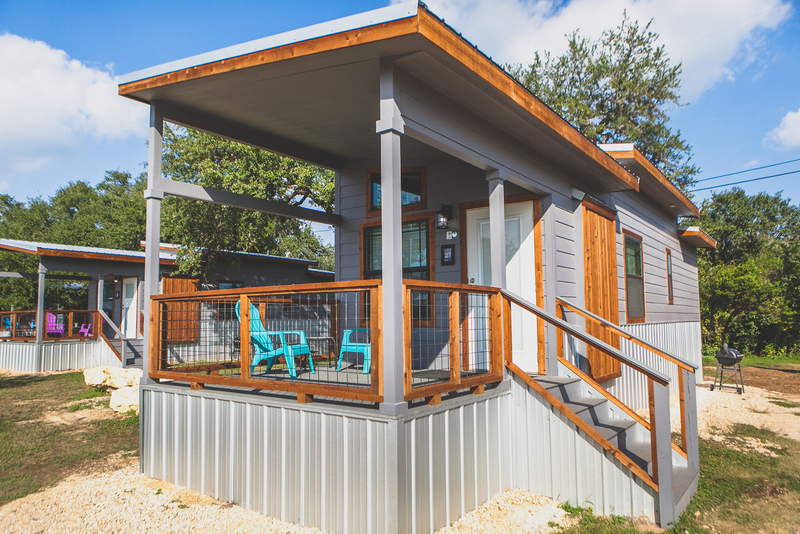 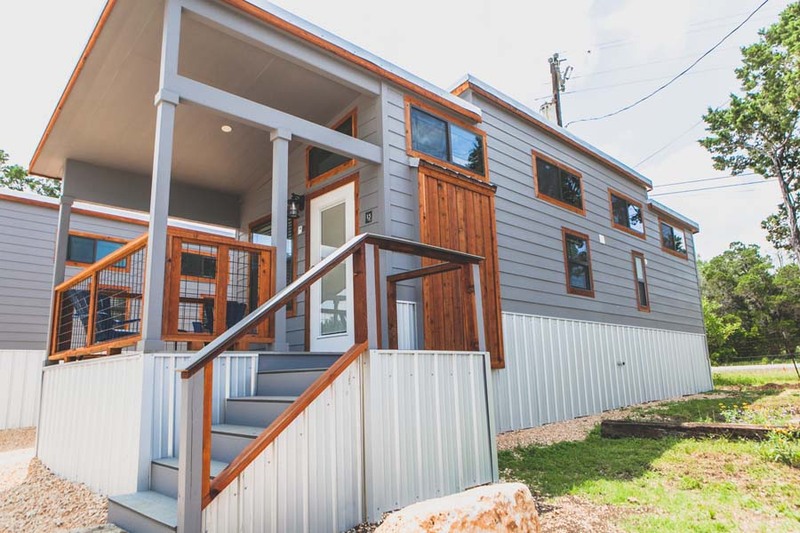 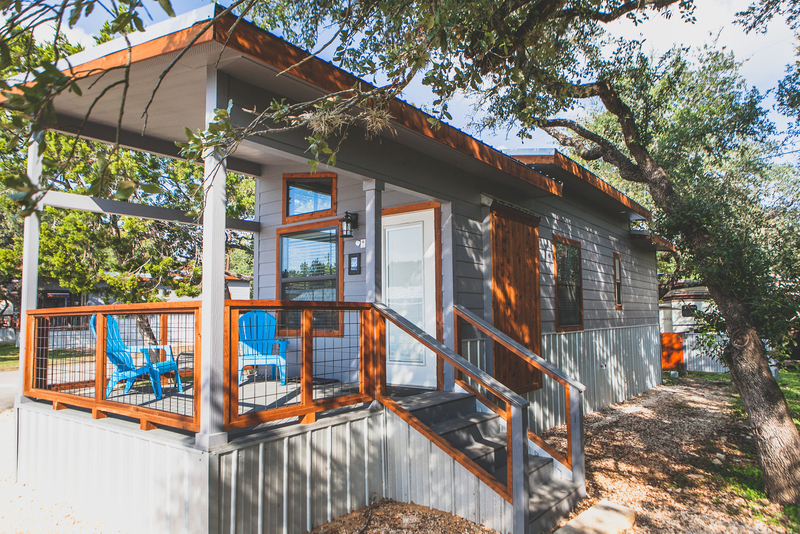 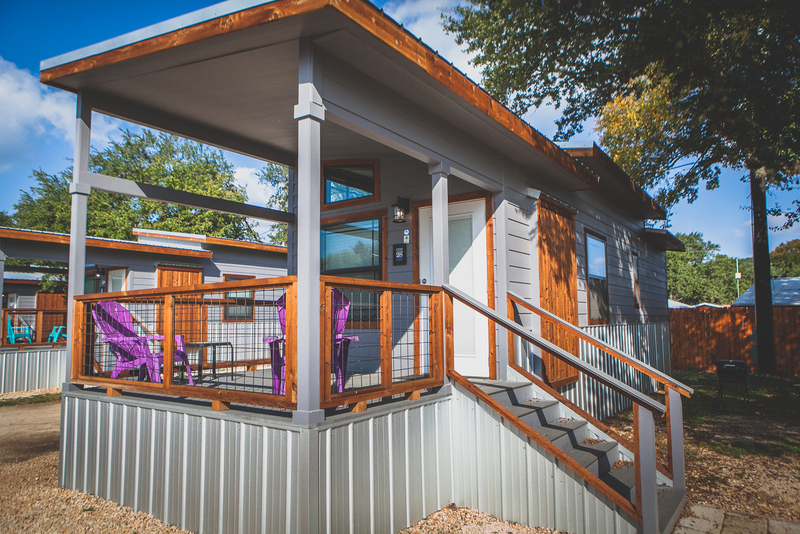 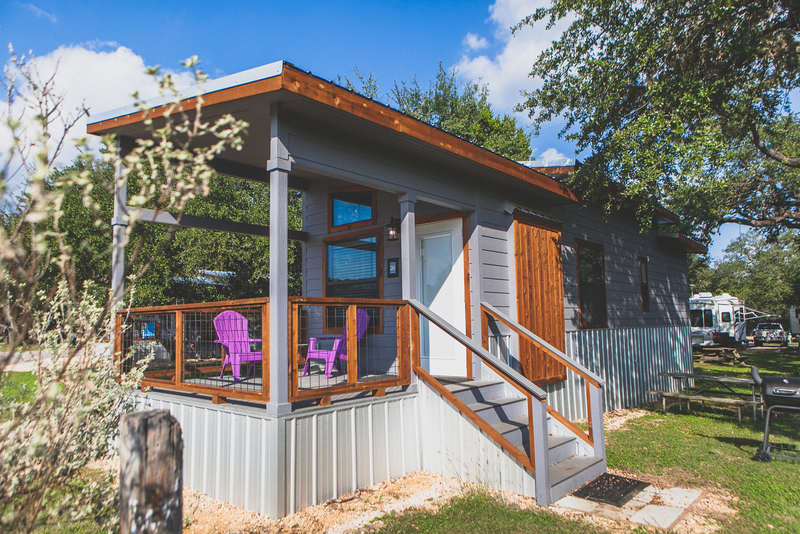 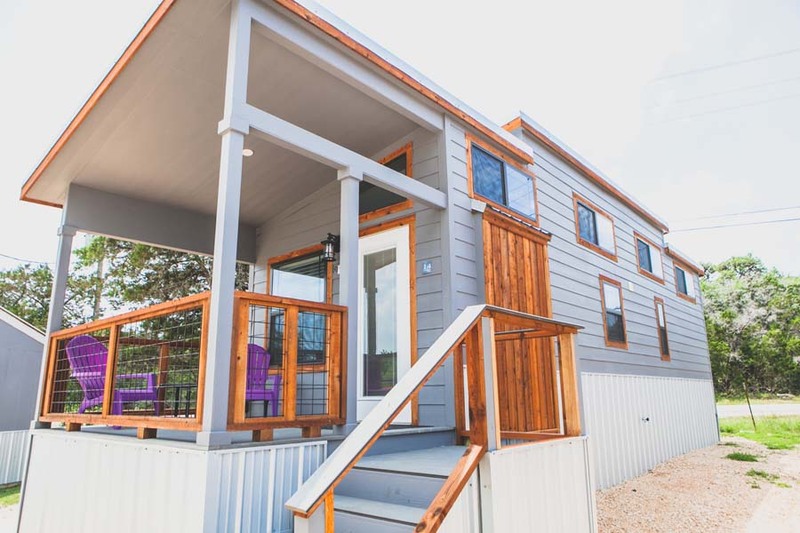 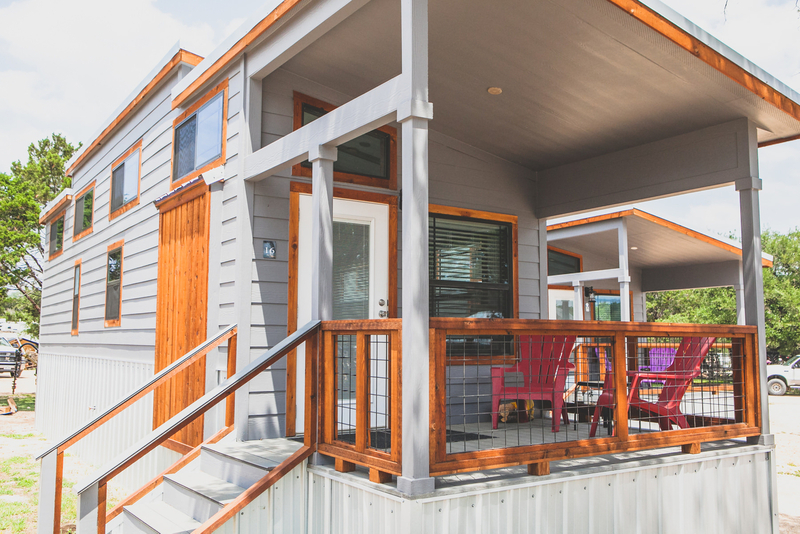 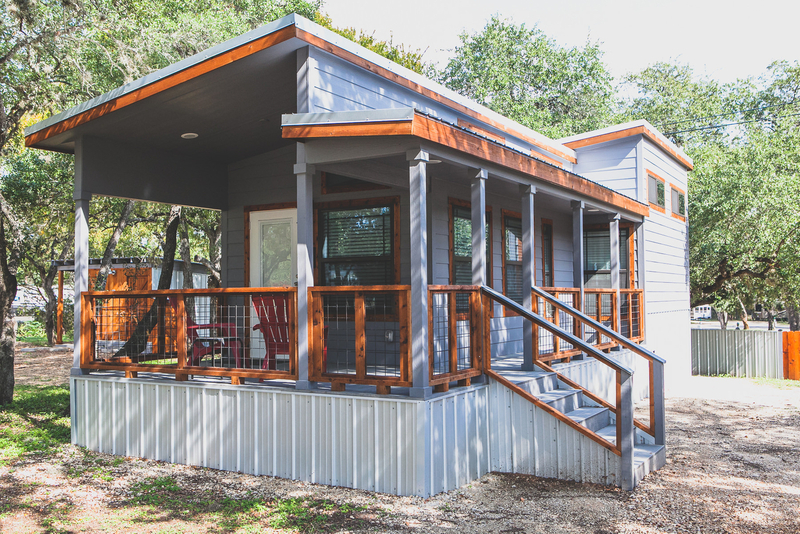 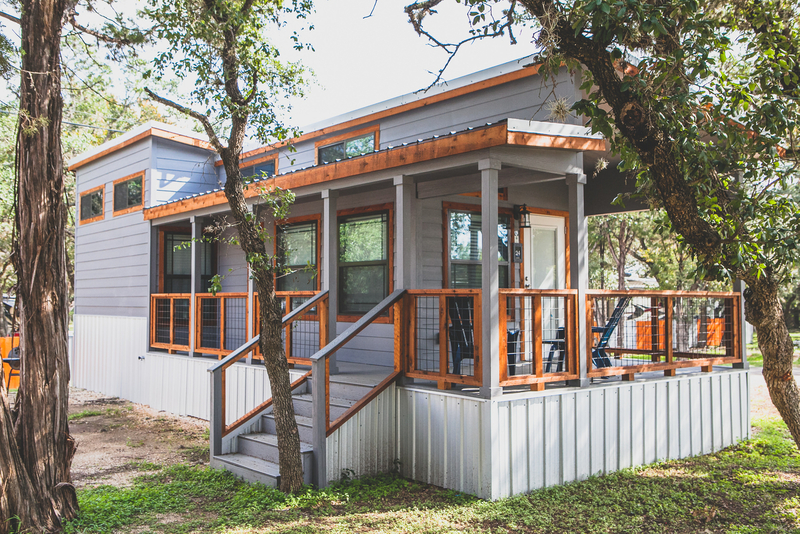 The modern architecture of our tiny houses, with many a window, welcomes the Texas sun by day and the Hill Country starlight by night. 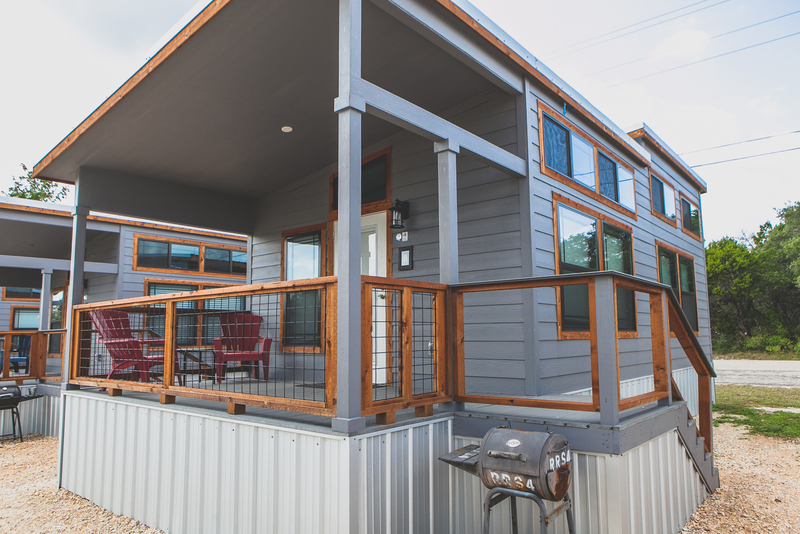 Layouts range from perfect-for-couples to great-for-families. 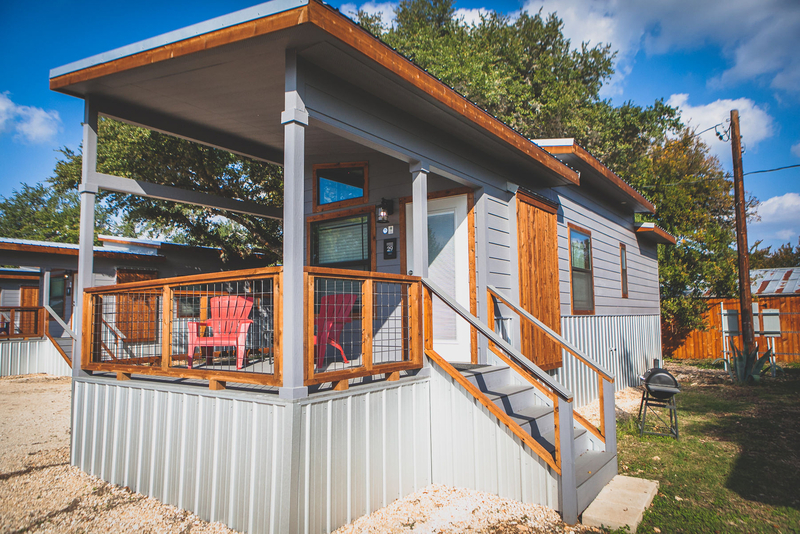 Our tiny house condos have distinct features - some with lofts and some that allow small dogs under 25 lbs. 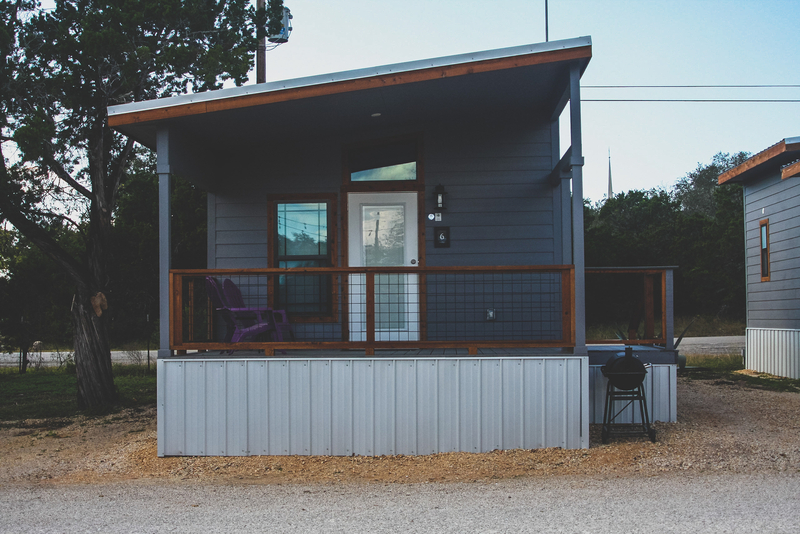 Read more about each one to see what makes them unique.